Waste management is an important part of any construction project. Effective waste management promotes safe working practices and sustainable waste disposal. In this post, we cover five tips that you can use to better manage waste at your construction site. ● Order standard-sized material wherever possible to reduce off-cut waste. If you’re left with off-cuts, try to use them first before ordering new materials. ● Check that all materials are handled correctly on site to avoid damage. Damaged materials lead to waste, this can be avoided with proper material handling procedures in place. ● Plan in advance what materials are needed for the project. This reduces the need for over-ordering materials, which can add excessive waste and costs to your project. ● Introducing secure on-site waste storage that features clearly labelled and colour-coded waste management skip bins or wheelie bins for different types of waste. ● Consider deploying a mini crusher and screener for leftover blocks, bricks, and rubble. These materials take up a lot of space in the construction site; using this method will make the waste more manageable. ● If you have sufficient budget, consider bringing on board a team to exclusively promote and manage waste. The alternative would be to hire a professional waste management company. ● Waste can be recycled or resold, depending on the materials. Concrete, for example, requires a different recycling method than timber. Scrap metal can be resold to generate revenue. Identifying how to recycle each material is essential to keep waste and costs to a minimum. ● Choose recycled materials for your construction project. These offer the same quality at a lower unit price. If a high-quality recyclable material is on the market, consider using that for your project. ● Stockpile crushed materials from early phases of a project to reuse in later phases. Leftover materials can often be used on other jobs. ● Collaborate with other businesses to identify potential opportunities for exchanging reusable materials. Pallets, bricks, and scrap metal can be traded or sold for a profit. ● Reuse temporary materials such as fencing or plasterboard, and carry out repairs on damaged goods such as pallets. ● If undertaking a refurbishment project, reuse or repurpose materials that have been stripped out. This avoids the need for purchasing expensive new materials. ● Offer take-back schemes that enable you to sell or send back excess materials, including packaging. ● Choose suppliers that offer eco-friendly or recyclable materials. ● Allow for staggered or partial deliveries, reducing the need for managing on-site storage areas. Alternatively, consider using a waste skip bin hire service that regularly removes waste from the construction site. 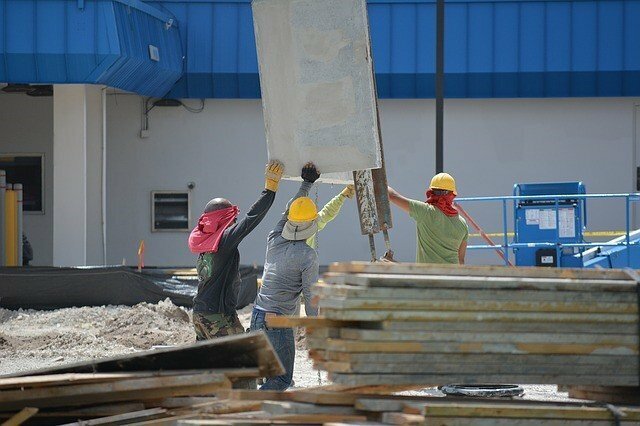 By implementing these techniques, businesses will not only protect their profit margins and enjoy a competitive edge, but also help promote a sustainable waste management of the construction site. If you need a provider of sustainable waste skip bin hire, look no further than Bargain Bins. We can pick up and remove waste from your work site in Auckland, Waikato or Tauranga today. We provide environmentally friendly disposal solutions no matter what your waste situation is – just give us a call, and Bargain Bins will help you out.